Our sawdust and shavings products are at the heart of our business and we supply a range of different types to ensure that we fulfil everyone needs from equestrian, cattle, poultry and biomass industries. Our sawdust and shavings products are manufactured to the highest standard to ensure you are receiving a product you can trust! Which sawdust and shavings product is right for you? Our wide selection of versatile animal bedding makes it easy to find the right product for you. Whether you’re looking for bedding for your dog kennels, cattle or for cubicle bedding our soft dust is made out of 100% soft wood and then Kiln dried to give you high quality bedding for your animals. Sawdust is an integral part of keeping your animals clean and healthy, the soft dust is particularly absorbent and the high quality of the sawdust helps to reduce respiratory problems. 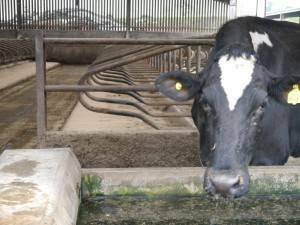 Our products lend themselves particularly to cubicle bedding by helping to reduce abrasion on cow udders, making them happier and more likely to produce better yields. Our Agri dust is also a great way to keep your cattle at their optimum. It is the highest grade sawdust we produce and is an efficient type of animal bedding, being easy to clean out and having minimal chance of having detrimental effects on your animals’ health. If you’re looking for Equine bedding then PH Winterton is sure to have the right product for you! We supply two types of shavings which have been specifically designed to meet the many requirements that equine bedding entails. Our Cheshire Choice Equine Bedding is high quality, 100% soft wood, highly absorbent shavings which gives your horse a comfortable and hygienic bed. We know the health of your horse is important to you! So our Cheshire choice equine bedding strives to reduce any health issues your horses may have by being chemical and dust free to help to stop respiratory issues. 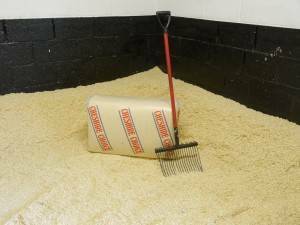 Our Economy Bale Equine Bedding is our other option for animal bedding; this is also produced to an extremely high standard, and is perfect if your budget is a little lower. It combines hard and soft shavings to provide a hygienic and easy to clean equine bedding that will keep your horses warm. We have a wide range of sawdust and shavings products available for use on large scales, and we have recently started supplying a biomass product for the poultry industry. We source this from the joinery manufacturing industry to help to produce Grade A wood residue. PH Winterton & Son is the place to come if you’re looking for sawdust and shavings for industry!